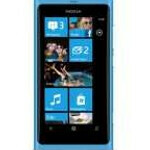 Nokia CEO Stephen Elop said the other day that he considers the Nokia Lumia 800 "the first real Windows Phone". To back up that claim, Elop plans on putting 25,000 copies of the device into the hands of developers before the calendar turns over to the new year. In a tweet, Nokia Senor VP Marco Argenti said that developers will be inspired to create beautiful apps using the Windows Phone 7.5 powered model. The company's new flagship model was introduced yesterday along with the lower cost Nokia Lumia 710. Right off the bat, the new models have three exclusive applications that we told you about yesterday. Nokia Drive offers off-line turn-by-turn navigation with voice-guidance in over 100 countries while ESPN Sports Hub and Nokia Music are also exclusive features to Nokia's new Windows Phone units. Handing over the batch of phones to developers should certainly result in some more apps for Nokia, some of them bound to be exclusive to the Finnish manufacturer. Losing its status as the planet's top smartphone producer has finally awoken the company after a period of time in denial and Nokia is hoping that the Windows Phone platform is the springboard back to past glories. I would've believed you if you wouldn't be an android fanboy.